So let's talk more about land. 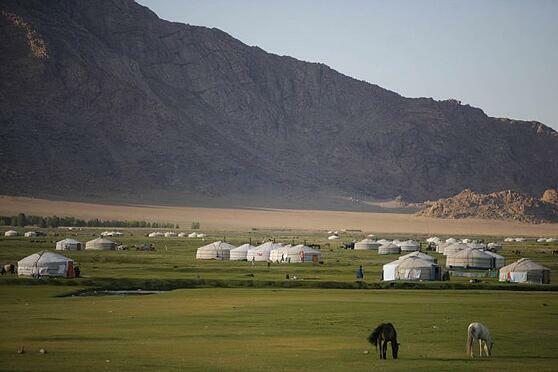 Above, a beautiful stretch of countryside land in Mongolia gives a good picture of rural life in Gers, or yurts. But the ever-free countryside differs from the restricted, high-demand land in Ulaanbaatar, the country's capital, as seen from Olympic Residence. Land Ownership, meaning legitimate freehold title of land with the right to sell, lease and pass the land to descendants, only applicable to Mongolian citizens. Land Possession, meaning temporary, licensed control of land in accordance with its purpose of use. Possession certificates can be bought or sold to local entities. 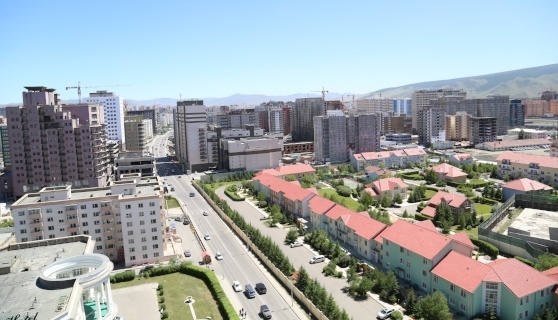 Mongolians are entitled to claim small plots from 0.07 hectares to 0.1 hectares in size within the limits of urban centers, free of charge for a term of 15 - 60 years with the possibility to extend up to forty years. These plots can be traded freely and passed down to families and relatives. Interested in learning more? Download our most recent annual Real Estate Report below. Property ownership rights are regulated by the following laws: the Housing Law (1999), the Law on Home Ownership Association and Floating Freehold Title (2003), the Law on Registration of Property (2002), and the Civil Code. The Law on Registration of Property is to regulate the registration and protection of immovable properties. The registration of a property with the General Authority for State Registration grants legal protection to the rightful owner. Upon obtaining the title of a property, the owner has the commercial rights to sell, lease, transfer the property to another party, inherit, pledge or issue guarantee. Uniform rights, legal protection, and registration procedure regime is applied to all Mongolians, legal entities, foreign individuals, and organizations. The right to property ownership is separate from the land ownership right. Upon completion of a building, the owners of the apartments establish a Home Ownership Association (HOA), and the underlying land title is transferred to the HOA based on a contract with the district’s governor’s office. The highest governing authority is vested in the annual general meetings of the owners and each owner has one equal voting right per apartment. The HOA can only be dissolved if the entire building is owned by a single entity or if there is serious irrecoverable damage to the building, which is outlined in the Law on Home Ownership Association and Floating Freehold Title. For obtaining the inviolable protection offered by the Mongolian constitution and ensure property related rights, it is necessary to register all property transactions through the appropriate legal channels. If these transactions are not carried out properly, Mongolia’s legal institutions will not acknowledge ownership rights. A notarized document from a recognized authority establishing the dimensions and valuation of the property. The immovable property office will process the application within 30 days. The typical processing time is usually closer to three days. The State Registrar and the Assistant Registrar will endorse the resulting certificate. In general, Mongolian law does not discriminate against foreign investors. In an effort to support Mongolia’s economic growth, the government of Mongolia ratified a new investment law effective from November 2013, which encourages investors to participate in all sectors of the economy without any government approval by establishing a common legal guarantee for investors, supporting investment and stabilizing the tax environment. This law applies to both foreign and domestic investors. It provides incentives such as tax exemptions, tax credits, longer term land possession rights, an increased quota of foreign employees, and simplified visa arrangements. Only foreign state-owned entities (those with a minimum of 34% ownership of entities in the mining, media and communication, or financial sectors) must obtain approval from the government agency. The Investment Law declares a foreign state’s direct or indirect ownership exceeding 50% qualifies it as a foreign state-owned entity. And by other forms acceptable, which are not prohibited by law. Furthermore, foreign investors who incorporate companies and conduct business operations in Mongolia and meet certain legal and business thresholds are offered “Stabilization Certificates,” which propose a stabilized amount and rate of taxation and other payments to the government during their business operation period in the country. The holder of a Stabilization Certificate is guaranteed stabilized tax rates for a period of five to eighteen years, depending on the amount, industry, and geographic location of the investment in Mongolia, and should comply with the criteria stated in the law. Provision of residential permits and multiple entry visas to investors and their family members. 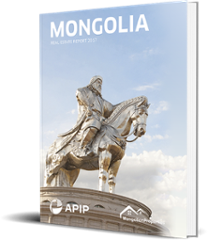 We hope this served you well, and if you would like to find out more, download our free Mongolia Real Estate Report.